Git Integration for Jira is an app for your existing Jira Server/Cloud instance that combines the data in your Git repository with the projects and issues in Jira. 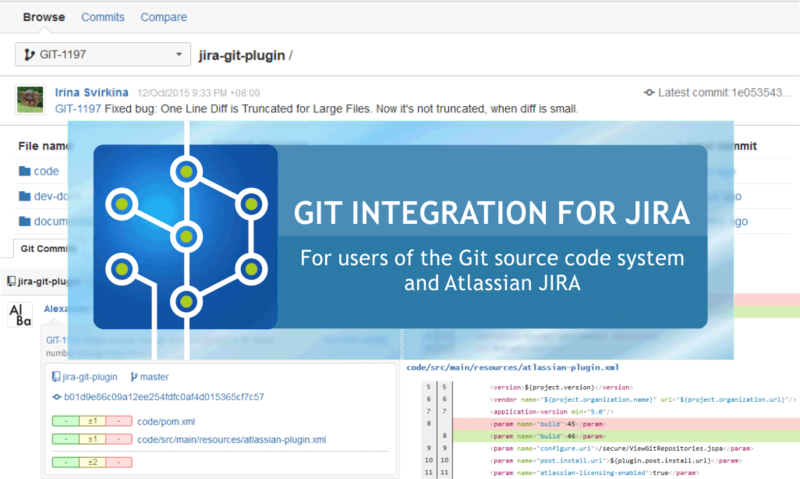 With Git Integration for Jira app, start working with Git in the familiar Jira interface. 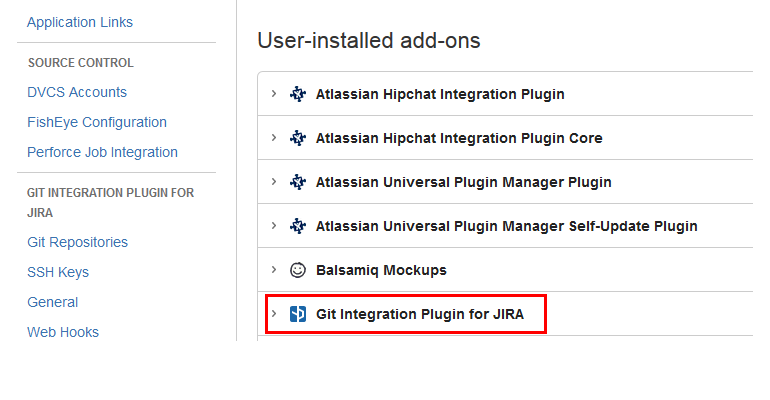 Using Atlassian's marketplace system, a Jira administrator can install the Git Integration for Jira app without ever leaving the web browser. 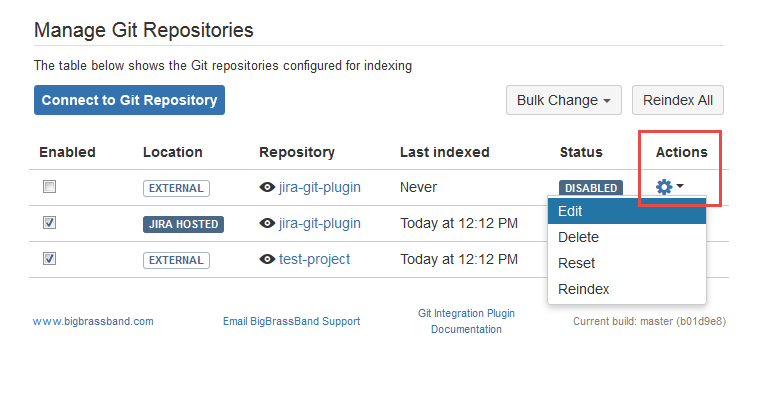 Install Git Integration Plugin for Jira via Jira Administration > Add-ons. Enter git or BigBrassBand on the search bar 2. Buy the add-on or start the free trial for 30 days 3. After generating license code and several prompts, the Git add-on will appear in the Manage Add-ons list. Login to your Atlassian account, when prompted, to acquire the license based on your selected license mode. No need to do git server command lines to copy or configure XML files. 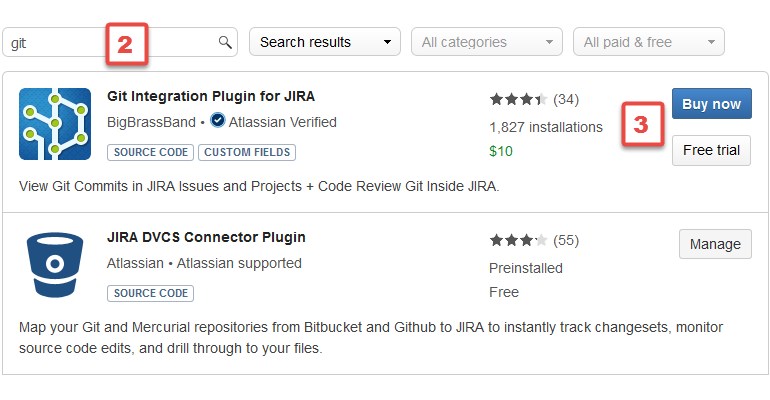 For manual installation or via Atlassian Marketplace, see Git Integration Plugin for Jira add-on - Installation . 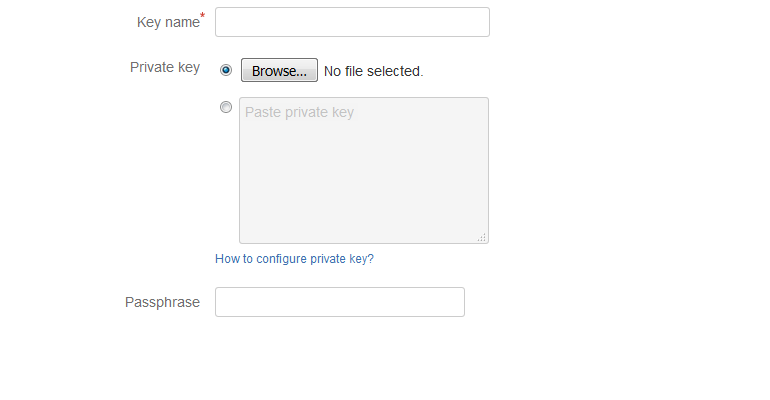 Configure SSH keys via Administation > Manage Add-ons > Git Integration Plugin for Jira > SSH Keys. Add a new SSH key by clicking the Add SSH key button. Name the SSH key. Import a private key file or paste private key from clipboard. Enter passphrase, if required. Mark the required repository or repositories to associate the SSH key via Actions > Associations. 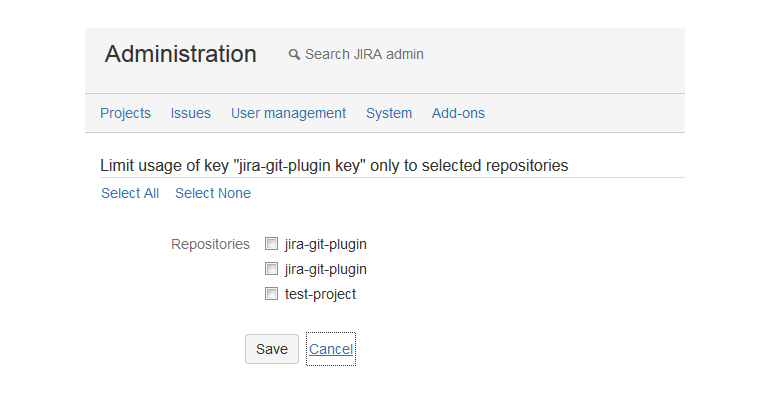 For a more detailed information about SSH keys, configuring and generating SSH keys for git hosting systems, and associating SSH keys to selected repositories, see Git Integration Plugin for Jira add-on - Working with SSH Keys . Manage git repositories linked to your Jira server via Administration > Manage Add-ons > Git Integration Plugin for Jira > Git Repositories. 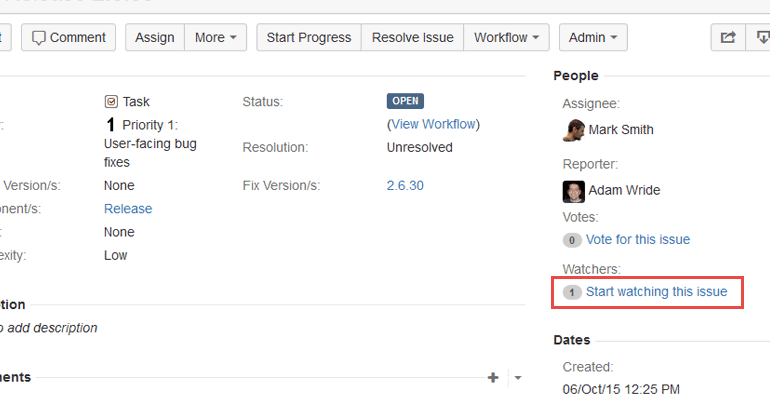 Use the Actions icon to edit, delete or reindex selected repositories. 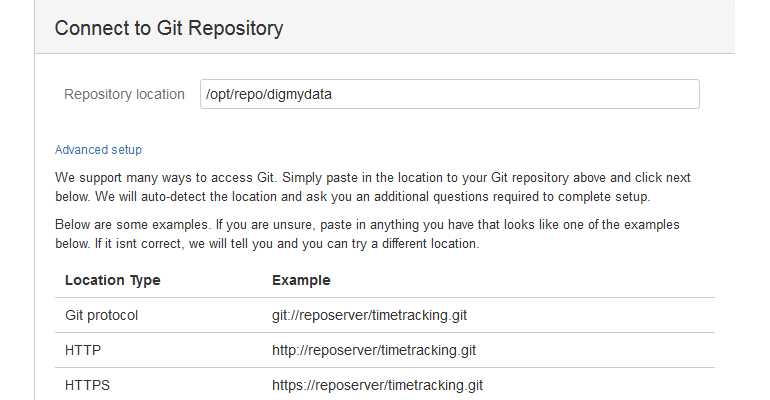 To connect a repository with the Git add-on, click Connect to Git Repository on the Manage Git Repositories page. Enter required Repository Location based on the Location Type examples. Click Next. The newly added repository will appear on the list. Edit or Reindex repositories via the Actions command. Go to the Advanced setup of the Connecting to Git Repository wizard if you want more control on connecting your git repository to Jira. All hosted Git repositories including GitHub, BitBucket, Beanstalk, and CloudForge. Any Git server that is accessible via SSH, HTTP, HTTPS, git protocol, local file path, or network share is supported. An unlimited number of repositories are supported. 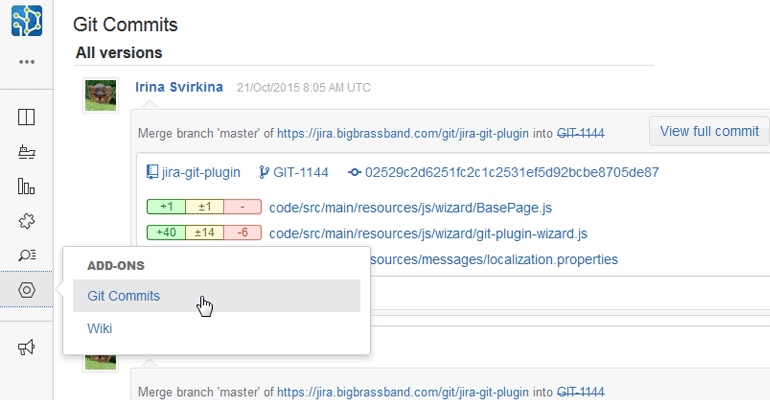 If your Git host configuration requires web linking, see Git Integration for Jira add-on - Web Linking . 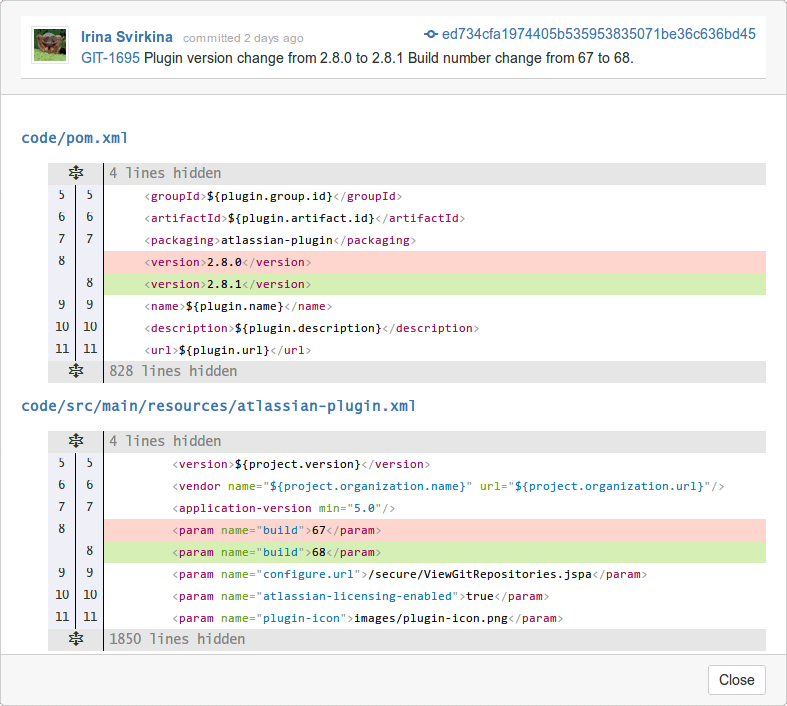 This is where Git Integration for Jira add-on shines the most -- code view and diff inside Jira! 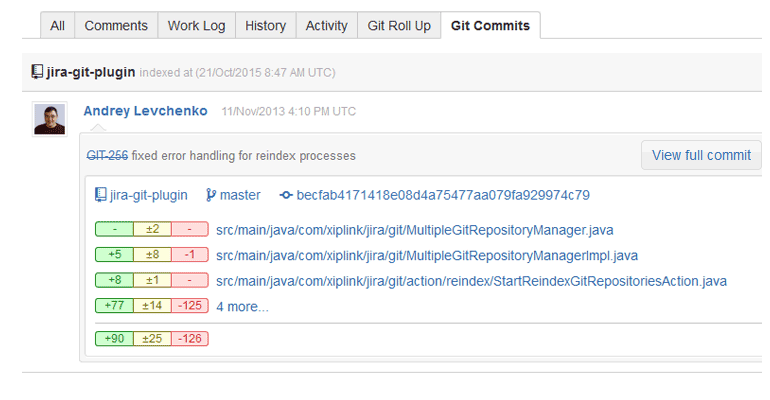 Open a Jira issue then go to the Git Commits tab. 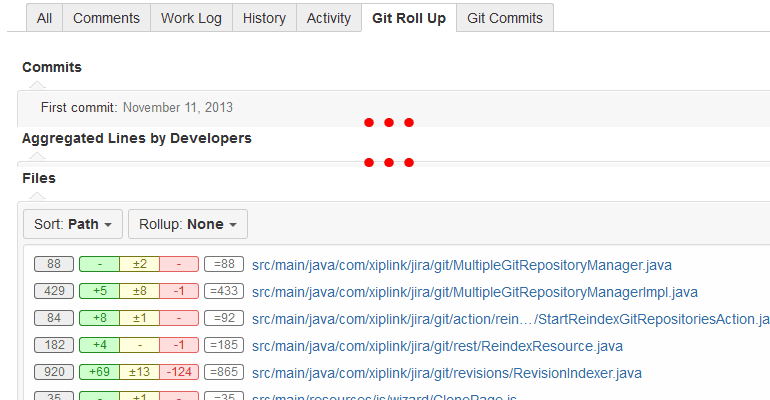 In this tab, you will see commits, files changed, links to external repository, commit author and more. 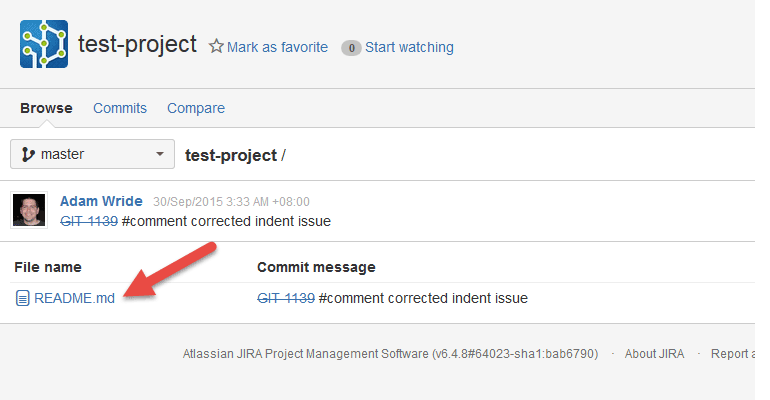 The git commit will get associated with the Jira issue if the start of the commit message includes the exact issue ID. 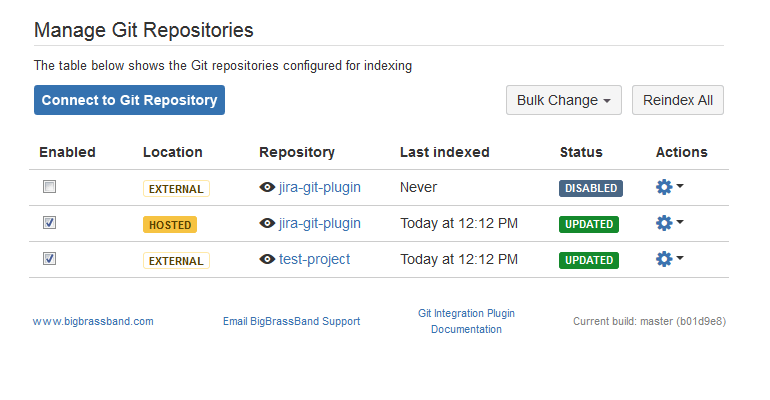 Git Integration for Jira will automatically index new commits and associate the referenced issue. Example Git commit message: "GIT-913 - Plugin version...". 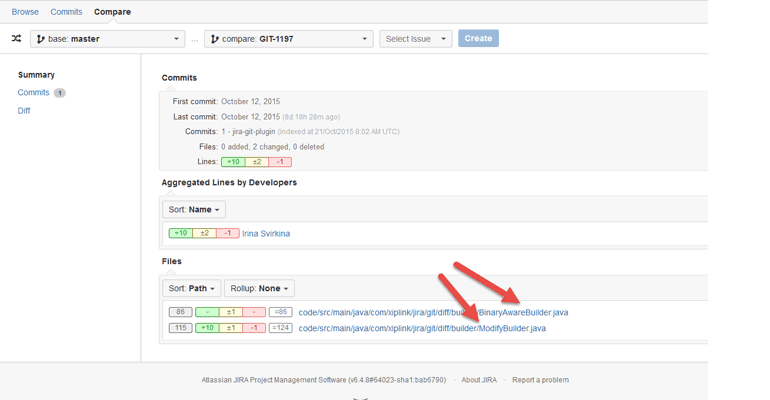 In this case, "GIT-913" is the issue key linking the commit message to the Jira issue. The "GIT-36 added log message" comment – assumes that you have configured a Jira project with the key 'GIT' and someone has created the issue #36 within this project. If you want to enforce the commit with a hook, please install this Git commit hook script. Commit-msg Hook . The web linking feature adds links to your git hosting provider directly into the Git Commits tab. Configure web linking options while adding/editing repository settings so that commits can include links to the git host pages. For more information, see Documentation: Web Linking . 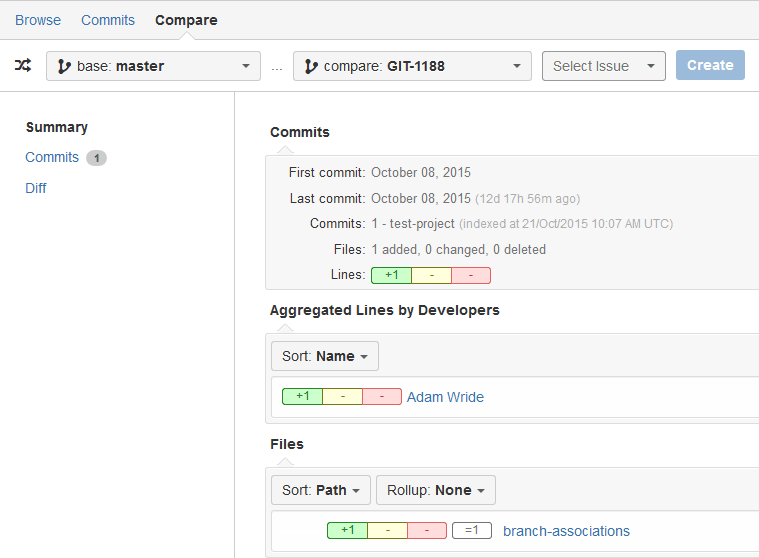 Smart commits allows your team to perform actions on Jira issues from a single commit. Users can enter the issue key and the desired action such as time tracking or closing an issue. The smart commit processing is active by default and can be enabled/disabled via the repository configuration. Logs specified #time of 4 hours and 30 minutes then adds a worklog message "Fixed null issues" to the issue, TEST-100; adds the #comment 'Fixed code' and resolves the issue. For detailed information on smart commits support, see Feature Highlight: Smart Commits. Users must have 'View Development Tools' permission in order to view commit information on the issue page. View a file on the Repository Browser (Git > View All Repositories). Open a project. Select a file. On the Compare results screen of the Repository Browser, click a file on the Summary page. Go to Administration > Projects. Select a project. Select the Overview tab > ADD-ONS icon > Git Commits. Click a file on a commit or click View full commit. Open an issue. Select the Git Roll Up tab then click a file under Files. Open an issue. 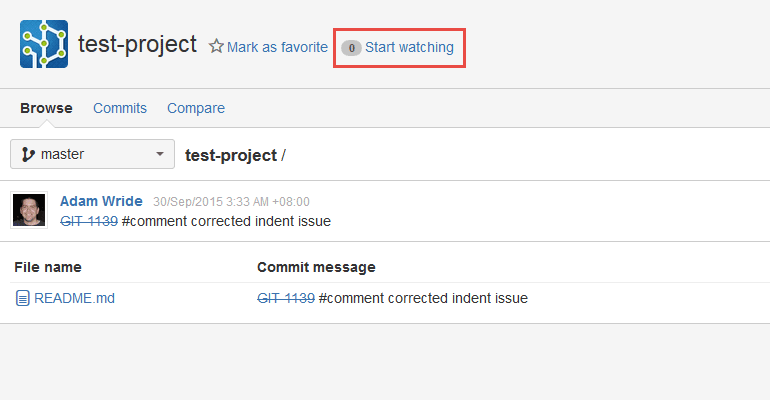 Select the Git Commits tab then click a file or click View full commit. 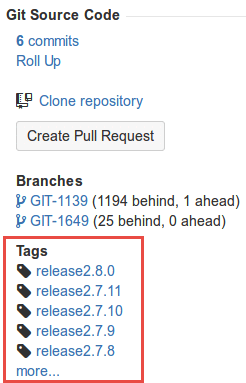 Git links and git tags (2.8.0+) are now available and can be accessed on the developer panel. Code view expander is now available when pulling up code diff dialogs in Git Commits and Git Roll Up tabs. Each click on the # lines hidden label expands up to 20 lines of code on that section. The user will get notifications when watching an issue or repository. The user will receive repository commit notifications if that repository is being watched by the user. If the user watches an issue, any commit related to the issue will be sent to that user as notifications. Issue commit notifications will be e-mailed to users who chose to Start watching this issue. Repository commit notifications will be e-mailed to users who chose to watch that repository. The Repository Browser allows users to view git repositories of configured projects via the Git menu on the Jira dashboard. Compare commits from the two branches of the current repository using the Compare tab. 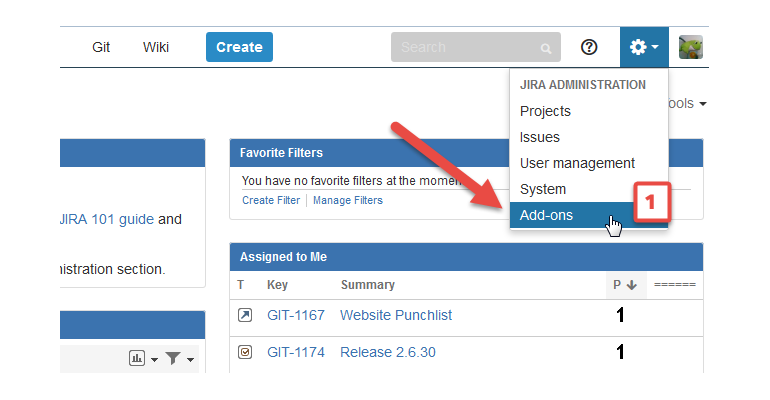 The Git Integration Plugin for Jira add-on has added JQL operators and fields to query Jira using JQL and git context via the Jira search. Returns the search result for all issues referenced by a git commit that has branch Version-5.2 and branch Version-5.3. Get new product notifications and feature updates from BigBrassBand LLC. Please enter your e-mail address below to be added to our mailing list. You'll receive new product notifications and feature updates.